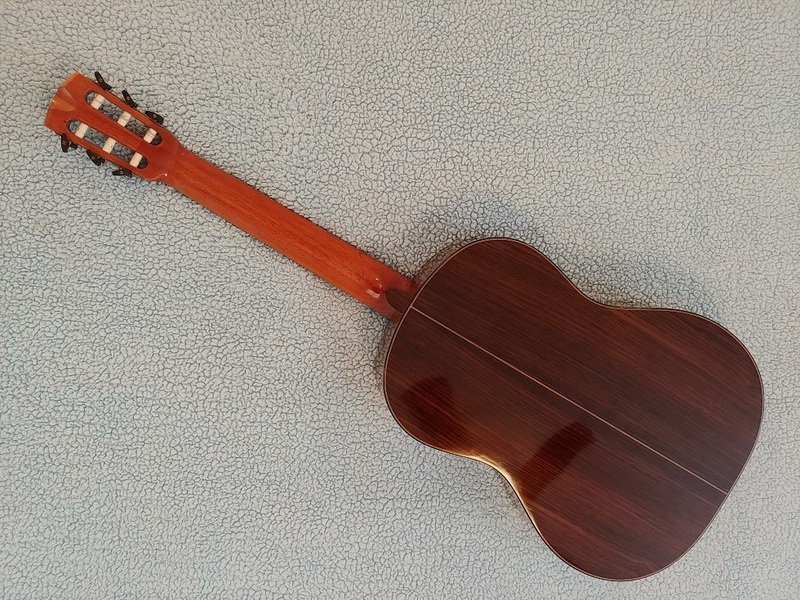 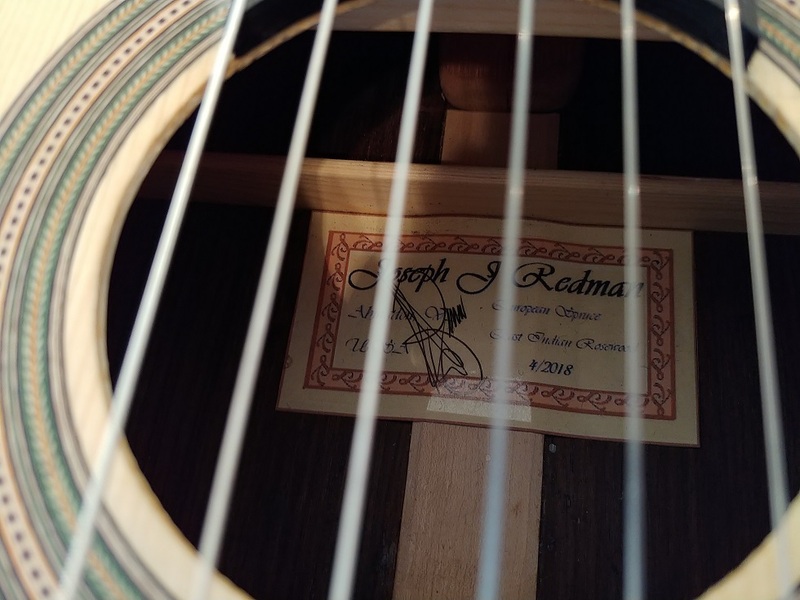 ﻿Joseph Redman handmade classical guitar in Indian Rosewood with a European Spruce sound board. 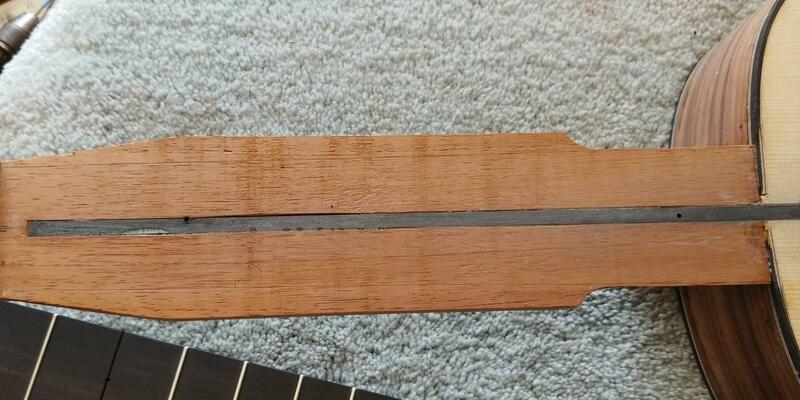 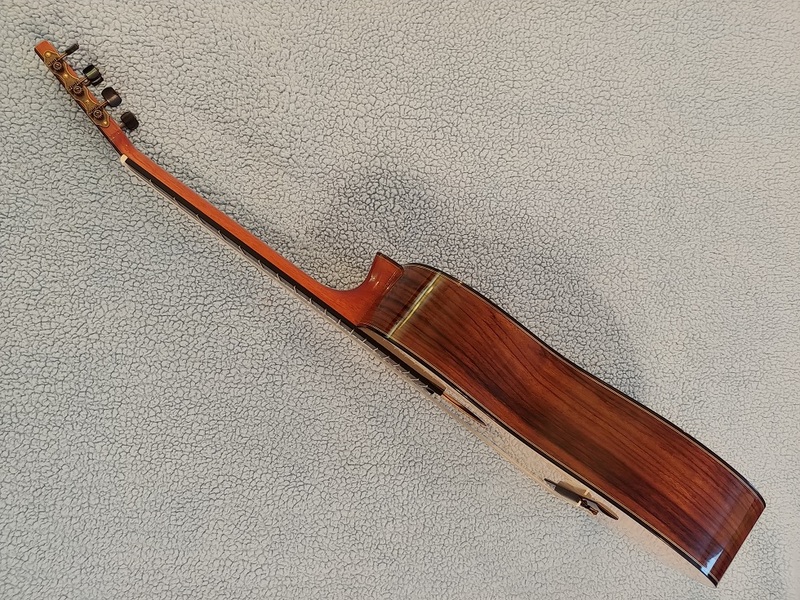 The neck is in Spanish Cedar, and reinforced with a carbon fiber strip. 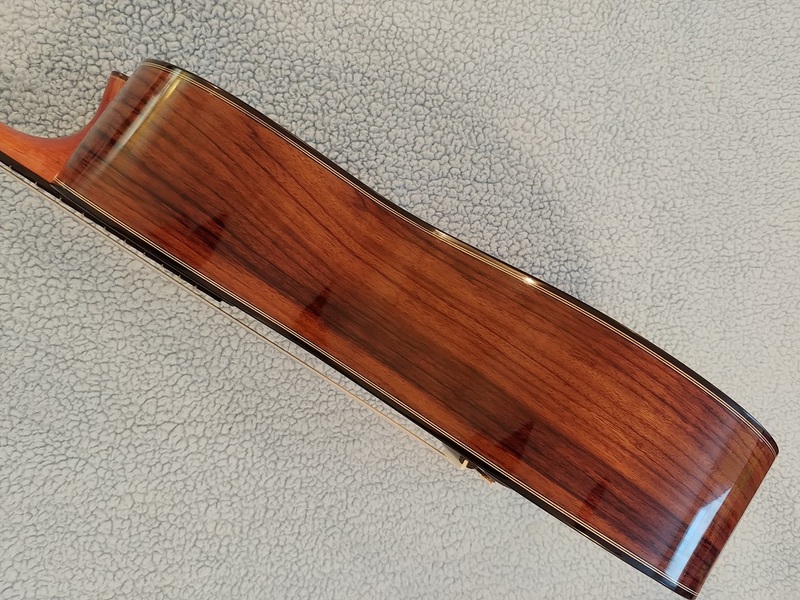 The fret board is in African Ebony, and the bridge is in rosewood. 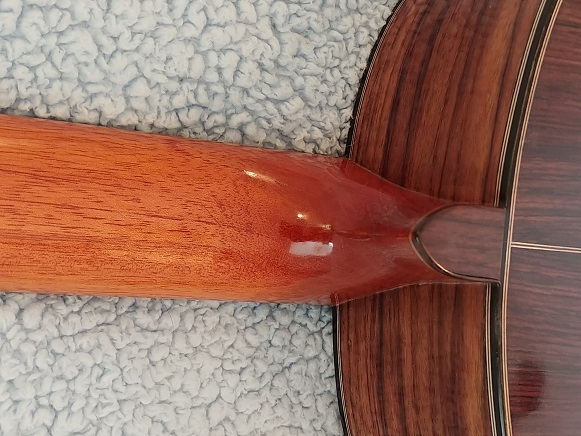 It is finished in hand applied French Polished Shellac. 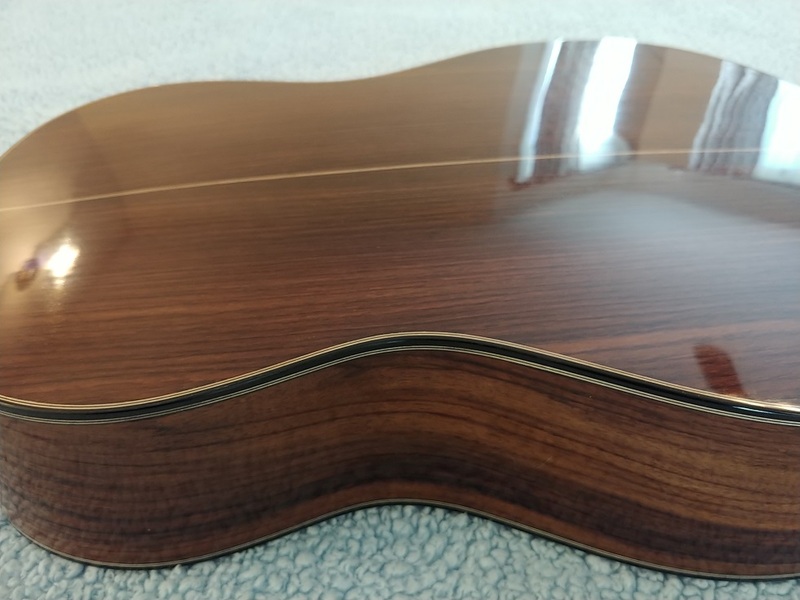 This is number 57, and I finished building it in March 2018. 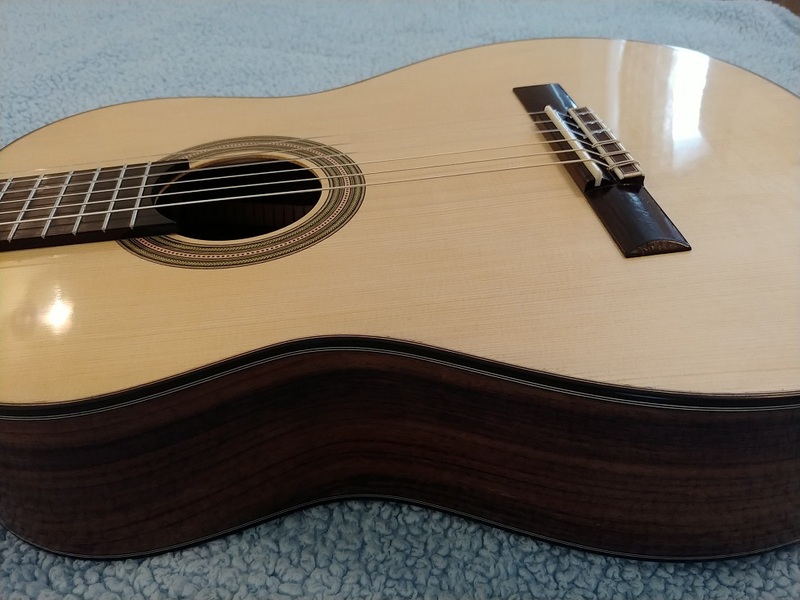 The bracing pattern and dimensions are based on the traditional Torres layout for concert guitars. 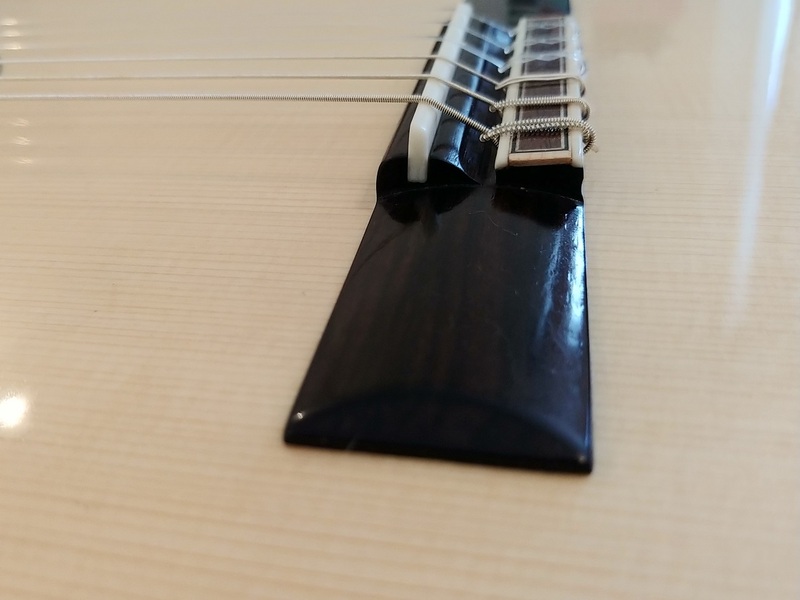 The scale length is 650mm, and the nut width is 52mm. 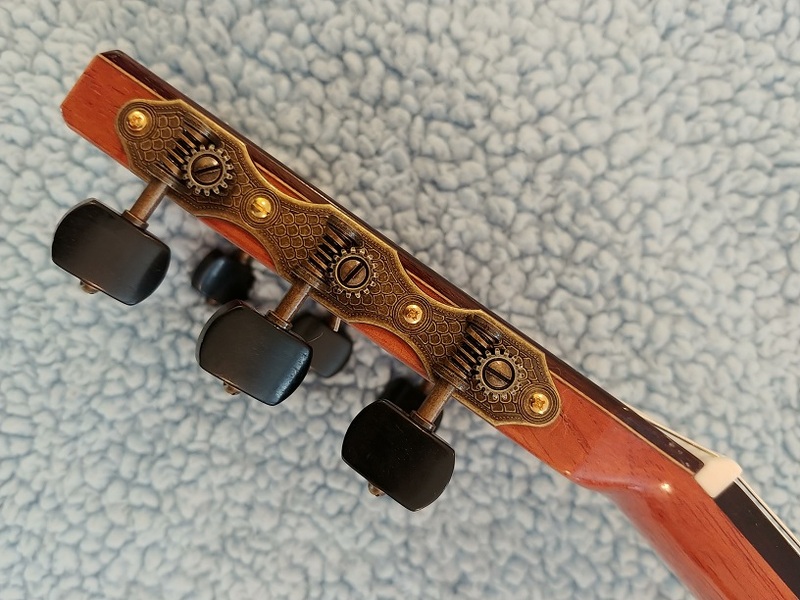 The saddle allows for ample adjustment should you prefer lower string action. 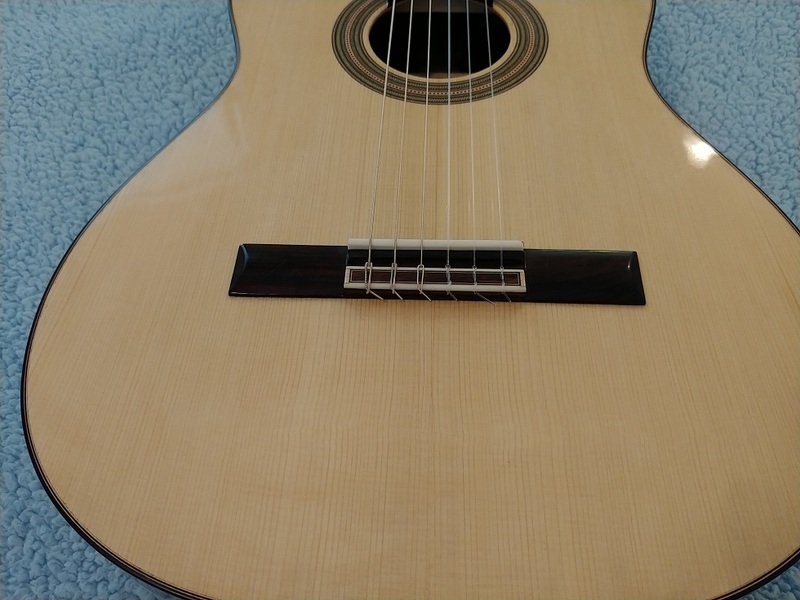 It is currently at 3.8mm at the 12th fret. 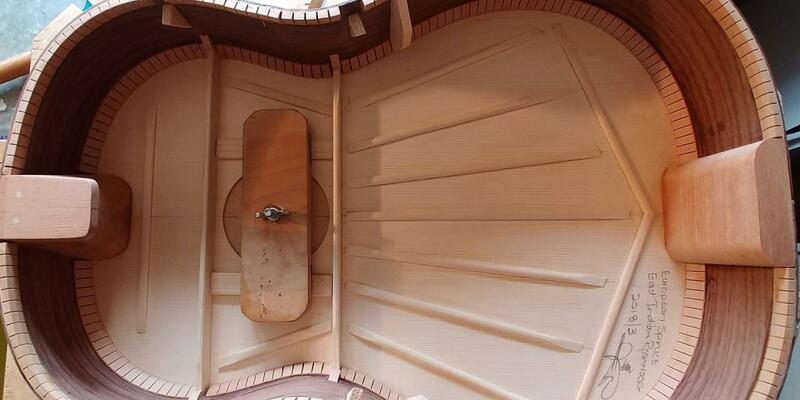 The sound is full, balanced and crystal clear with lots of volume. 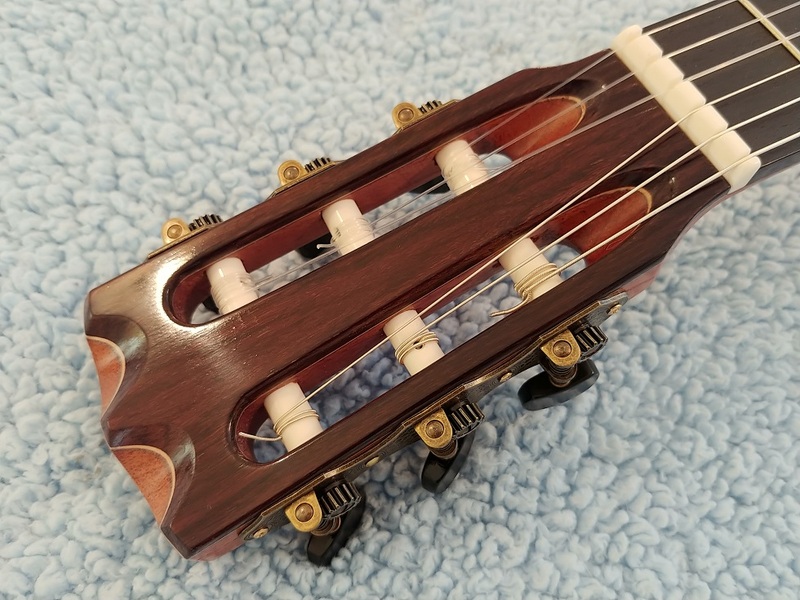 The trebles are particularly good higher up on the neck. 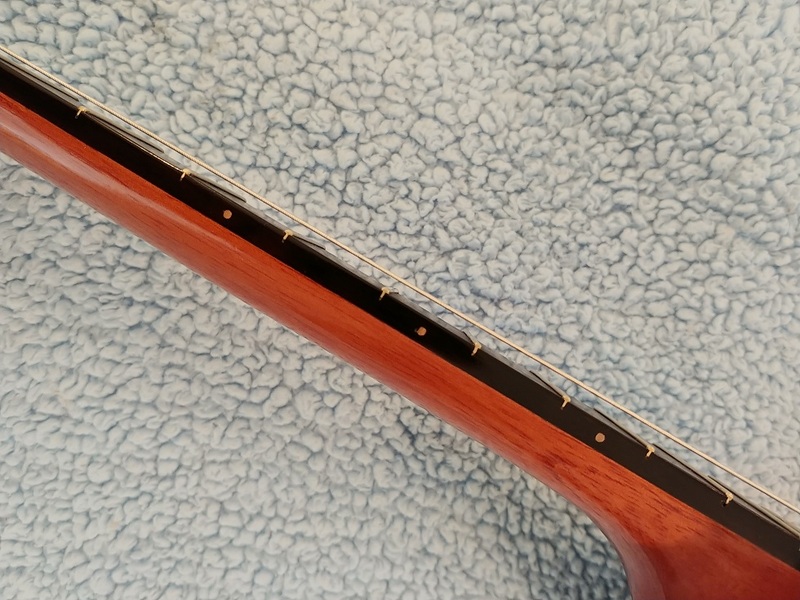 The intonation is well nigh perfect everywhere on the neck. 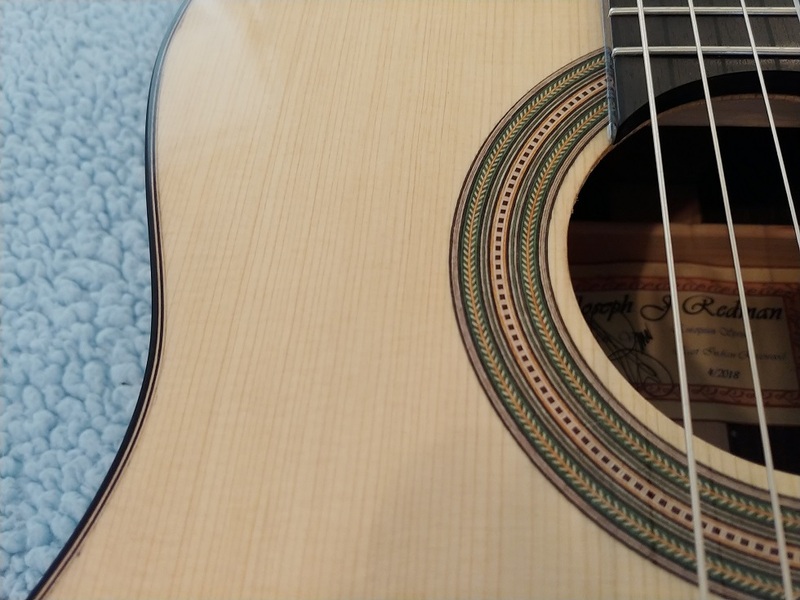 All my guitars are easy to play, and highly responsive. 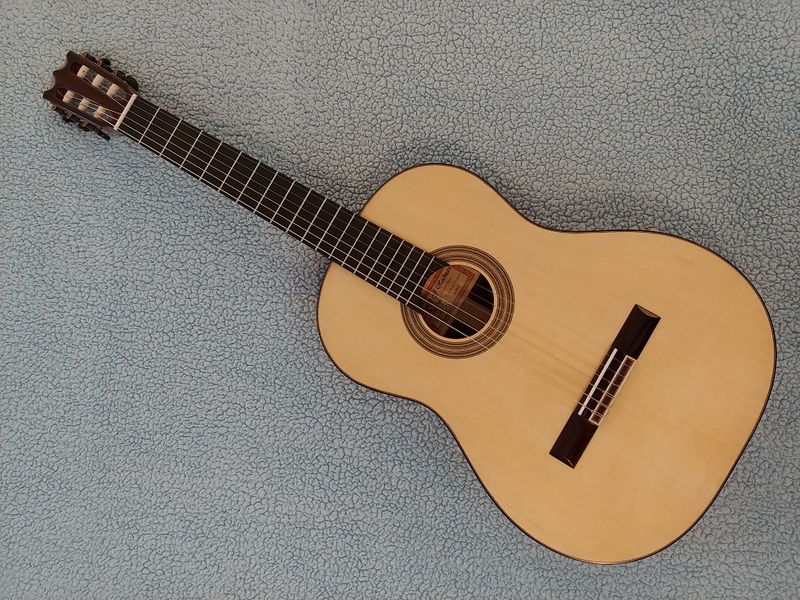 There are a number of sound clips elsewhere on my website of similar guitars. 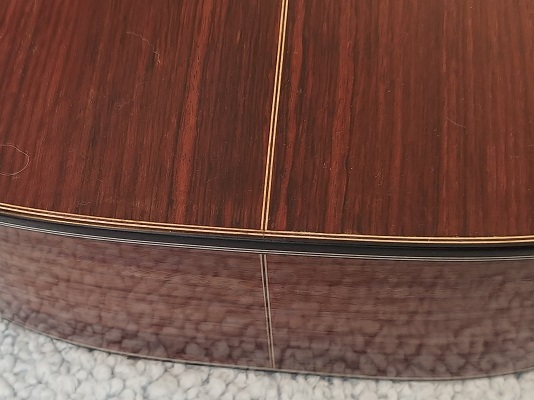 The guitar comes with a quality hard shell case. 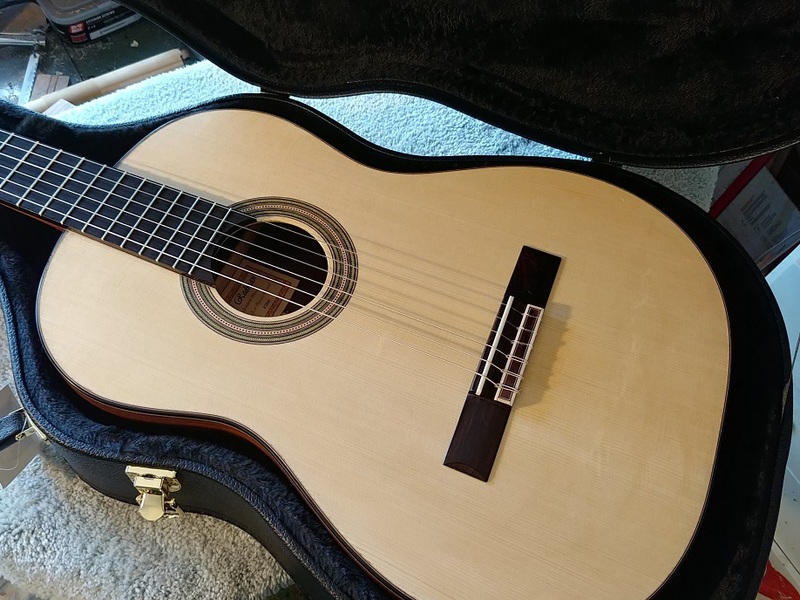 The price including shipping and insurance to the continental US is $2,200.